Alternating Hemiplegia of Childhood (AHC) is a very rare neurological disease caused by specific groups of mutations in the ATP1A3 gene. Rapid Onset Dystonia-Parkinsonism (RDP) and, recently, a new syndrome (CAPOS) have been recognized involving other mutations of the same gene. All these conditions are very rare and partly overlapping in their neurological manifestations; common pathogenetic mechanisms could be involved. The IAHCRC International Consortium for the Research on Alternating Hemiplegia of Childhood (AHC) was formed in 2012 to carry out a collaborative research that led to the identification of the ATP1A3 gene as the main cause of AHC. The Consortium involves clinicians, geneticists and researchers working at University centers in Europe, USA and Australia; it operates in close collaboration with health professionals and patient organizations, most of whom were already involved in the EU-funded projects “ENRAH for SMEs” (FP6, 2005-2007) and nEUroped (PH, 2008-2011). Since 2012, the researchers involved in the study of the ATP1A3 diseases gather with all the stakeholders worldwide at the annual edition of the International Symposium on ATP1A3 in disease (Official Website). 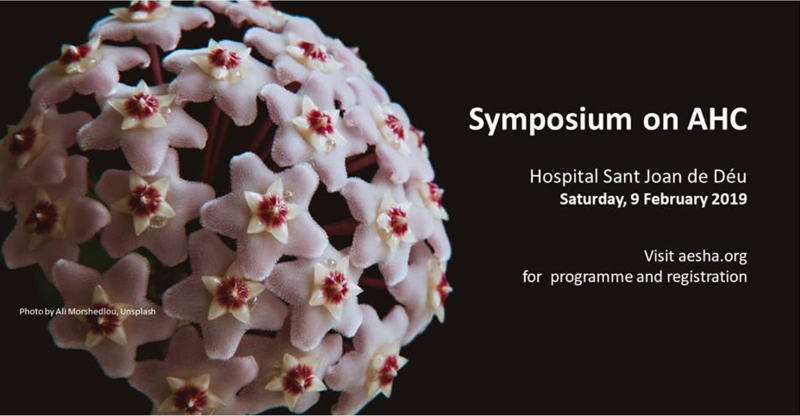 The Fifth Edition of the Symposium took place in London, UK, last 24 – 26 August 2016, hosted at the National Institute of Neurology (University College of London) by Professor Sanjay Sisodiya and Professor Helen Cross, members of the IAHCRC Consortium. A Workshop reserved to the IAHCRC members was organized joint to the Symposium, with the aim to validate the new set of Common Data Elements (CDE’s) about the Paroxysmal Events and Developmental Skills in AHC. The new CDEs have been proposed by Prof. Mohamad Mikati, Deputy Coordinator of the IAHCRC Consortium, and his team of the AHC Clinic at the Duke University, Durham NC, USA (Read the complete News). As a follow-up of the Workshop, the new CDEs about Paroxysmal Events and Development Skills were definitively validated, and added to the IAHCRC Core CDEs. The OBSERV-AHC Study was designed (2017) based on those CDEs and it is currently in its first phase of patients' recruitment. The 8th Symposium on ATP1A3 in disease will take place next October 3 and 4, 2019 in Reykjavik, Iceland (Visit the Official Website). 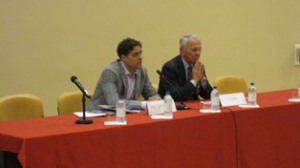 On February 9, 2019 in Barcelona, Spain, the International Symposium on AHC took place, with the participation of many members of the IAHCRC Consortium as speakers. For more info and registration, read the News). 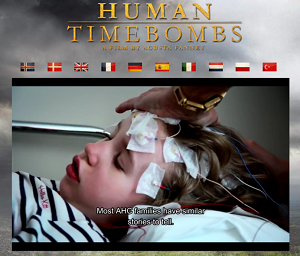 On the occasion of the International AHC DAY (18 January 2017), the new Website dedicated to the docu-film HUMAN TIMEBOMBS was opened. You can watch it in more than 10 languages.